Joe Cross of “Fat, Sick & Nearly Dead” fame is bringing out a new book next week. 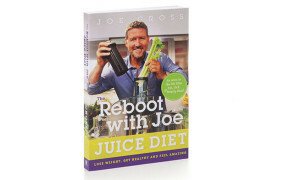 The book, “The Reboot with Joe Juice Diet“, draws on his experiences as portrayed in the film to put together this book which has a number of “reboot” plans from 3 day ones all the way through to the 30 day+ one. After seeing his film, which I found inspiring, I’ve pre-ordered the book! Now I’m not saying that I’d do a 30 day juice only plan, but I’d be interested in trying one of the shorter plans. I’ve mentioned Jason Vale in the past. This coming January as in previous year’s he’s organising a January detox. However it’s slightly later in the month than in previous years. He’s also giving away over £10000 in prizes, so if you’re looking for some extra motivation he’s got you covered. This is partially due to the publication of his new book “5LBs in 5 Days: The Juice Detox Diet” which comes out on January 2nd, but it’s also down to something quite logical. Human behaviour. If you’ve been over-eating during Christmas it’ll probably take a few days for your body to adjust to normal quantities of food. So switching from eating huge quantities down to eating tiny quantities probably wouldn’t work too well. So by delaying the detox by a few days you’d hopefully be in a better position..
Full details on the site, where you can also signup if you want to take part. While I’d love to do it I won’t be able to, as I’ll be travelling that week which means I’ll be lucky if I can keep my food consumption under control! 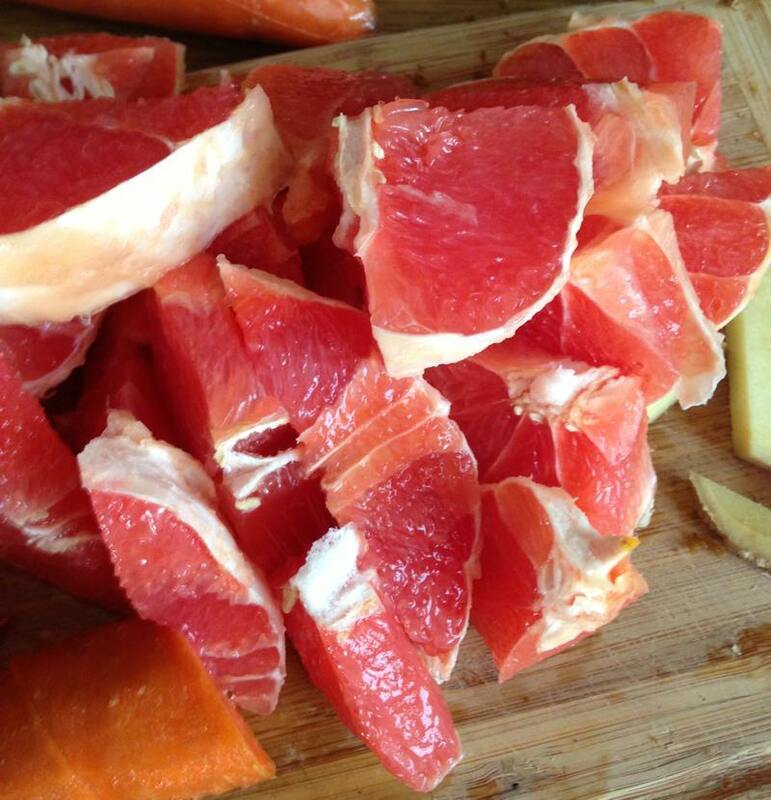 I quite like grapefruit. Sure, it’s a lot more bitter than orange, but the bitter taste sort of adds to its attraction. Yesterday I picked up a few grapefruit specifically for juicing, but I wanted to add something else to them. So carrot and ginger seemed like a reasonably good idea. The end result was excellent 🙂 Very tasty! Here’s the recipe – which is, of course, incredibly simple. 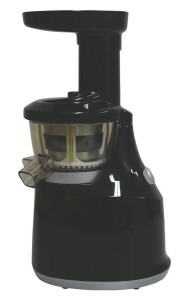 I took delivery of the Hurom juicer yesterday. I wasn’t sure what to expect and I still haven’t explored all the device’s options yet, but I will over time. To start with the box itself was heavier than I was expecting. In some ways this is a good thing. If it’s heavy then it’s probably going to last longer than a flimsier machine. The build quality of all the machine’s parts appears to be very good, though considering how much they sell for retail you’d expect it to be. The model I bought is the HU-400, which happens to be black. If I’d been paying full price for it I’d have chosen a black model anyway, so it was just my good fortune that the discounted one I found on eBay was black. The standard retail price for the HU-400 is around €350 – €400 depending on where you buy it. I picked mine up for €270 including shipping (via courier). Unfortunately this particular model doesn’t come with a recipe book, or at least the one I got didn’t have one included. You don’t really need a recipe book for making juice, but the Hurom is powerful enough to do a lot more than simple juices. Whether I’ll get round to exploring some of its more advanced features and options is a different matter entirely.. Assembly of the machine is pretty easy, though the instruction manual referred to two variants of the same model and I couldn’t work out which one I had, nor could I find the “spot” that part of the machine’s body supposedly has. Like a lot of electric kitchen gadgets, the Hurom juicer will not switch on unless it has been put together properly and all its parts interlock exactly the way they’re meant to. I had got the impression that the Hurom would take up less counter space than my Philips machine, but in reality there isn’t that much difference. The Hurom is taller, so you can’t operate it on the counter until you’re clear of the cupboards. While that’s not exactly a “deal breaker” it means that I’ll have to rejig my counter space, as I’ve ended up with the machine precariously perched on the edge of the counter which is far from ideal. So what about the actual operation of the machine? The fruit and vegetable chute is much smaller and narrower, so you need to cut or slice into much smaller slices. You also can’t “ram” things into the machine, as it doesn’t have any sharp blades or burrs like the centrifugal has. The cold press juicers work mainly on pressure, with the motor rotating the main shaft at about 80 rpm compared to the 18000 rpm of the Philips! But who really cares about rpm? It’s a juicer, not a car! Last night I took it for its first “drive” and I was truly impressed. While it does take a bit longer to prepare the fruit for juicing (I personally hate peeling oranges) the end result is worth it. With the Hurom cold press slow juicer the juice is a much deeper orange and the taste is far richer. So far I’ve found that it can handle soft fruit easily, but without getting clogged up. Harder stuff, like ginger, goes through it pretty well. Cleaning up afterwards is relatively easy, as you can simply pour a jug of water down the chute and turn on the machine. Due to the way the machine uses filters and some kind of mesh the water doesn’t just flow straight out, but works its way through the machine and expels a lot of the leftovers. I’ll freely admit that I am impressed by how much juice it extracts from the fruit. You can see it in the pulp that’s expelled after – it’s practically dry! A friend of mine asked me recently a very simple question. Why juice? Why make your own juices? Why not buy juices in a shop? There’s probably a lot of articles “out there” on the benefits of making your own juice and they’re probably backed up by lots of “fancy” data and numbers. I don’t have that. What I do have, however, is my own motivations for juicing. At the simplest level, making your own juice means you know it’s fresh. It’s as fresh as when you make it. A lot of the juices that are on sales in shops aren’t “real”. They’re made from concentrates of some kind or have added sugar. Sure, you can get 100% fruit juices these days without any additives, but have you seen how much they cost? A small bottle of “freshly squeezed” orange juice will cost you several Euro. And it might not taste that good. Tesco sell oranges by the kilo for around €2 / kg, while Innocent’s orange (which is damn tasty) is around €3 / litre. And if you start exploring the world of juice you discover that there are a lot of different combinations possible. Since I began making my own juices on a regular basis (as well as making smoothies from time to time) I’ve discovered an entire universe of flavours that I didn’t know even existed. 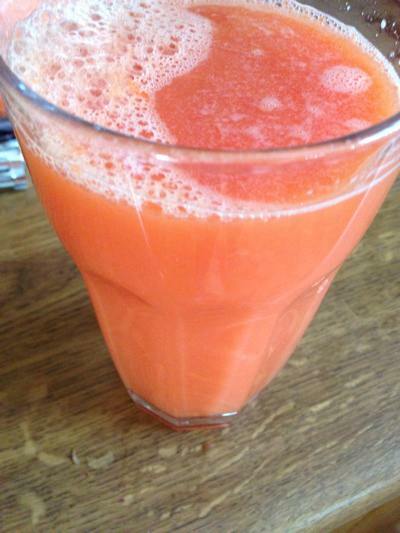 Ginger, for example, when added to carrots, gives the juice a little “kick”, which I really like. As for beetroot, sure, it’s an acquired taste, but it’s fantastic once you get past that initial “oddness”. Imagine combining all these different fruits and vegetables together and getting both the amazing flavours as well as all the nutrition. Sure, it’s more effort than simply taking a bottle of juice out of the fridge, but when you get used to making your own fresh juices you realise how tasteless so many of the “things” you’re served under the name of “fruit juice” are. 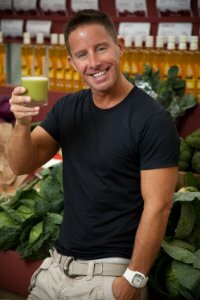 I’ve got a couple of recipe books by Jason Vale and there are hundreds of sites offering recipes on juice. 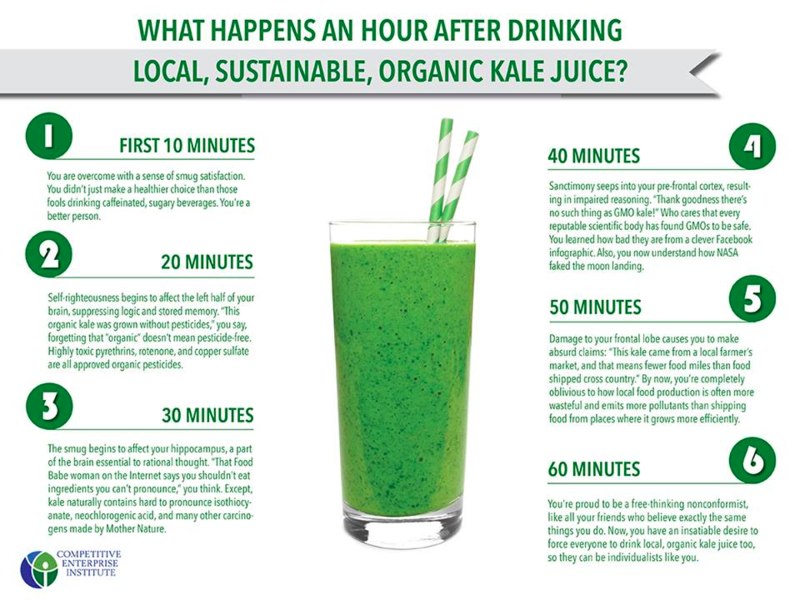 As for juicing for health reasons. ..
I’d recommend watching Fat, Sick and Nearly Dead. It’s inspiring.